Culture is a hot topic right now. We talk, explain, debate, and argue about culture and cultural differences. Often, we do all that without knowing that our own cultural beliefs, norms and values drive much of the conversation. When I lecture on or facilitate cross-cultural communication and adjustment, I often ask people what they think is most important: to learn from interacting, to listen and to observe, or to be aware of your own culture? Most people say that it is to learn from interacting. While all three factors are significant, the correct answer might surprise you. Edward Hall, an American anthropologist and cross-cultural researcher, made an interesting observation in his 1976 book “Beyond Culture.” He said that if you want to adjust successfully cross-culturally, the most critical factor is to be aware of your own culture. Initially, I struggled to get my head around that idea. However, the more I thought about it, the more sense it made to me. We are part of our cultures, and our culture lives in us. That means that culture influences almost everything we say, do and think. Culture isn’t only in the things we know about ourselves, it’s also part of our unconscious or hidden values and beliefs, and many people struggle with this part. One day, while observing an argument between two people in a store, I heard one say to the other in exasperation, “But it’s logical!” As an outsider, I saw that it wouldn’t necessarily be logical. I had an “Aha!” moment right there: how many times had I said “but it’s logical” to people from other cultures and backgrounds? I made an effort to think about what I said, and why. My thinking led me to uncover much about my hidden or unconscious cultural beliefs and values. Knowing my own culture very well has helped me realize that the expression “it’s logical” begs the question, “Logical to whom?” What’s logical to me or my culture, isn’t logical to someone from another culture. Another factor that often helps people to uncover some of their hidden values, is to analyze the things they’re prepared to argue about. For example, someone who feels strongly about being respectful towards their elders might feel it’s warranted to point out any “disrespectful” behavior by others, even when it’s none of their business. Listen to yourself. Sentences that start with or contain generalizations such as, “One should always… ” or “A person must never… ” often provide clues to hidden cultural values and beliefs. It’s what we believe to be true for all people, based on our own values. If you become aware of your expectations of others, it might also help you become aware of some of your unconscious values. One of my unconscious cultural values (it is conscious now) was to be considerate. I became aware of it after I realized that it almost always upset me if I saw people being inconsiderate towards one another. One day, I wondered why it bothered me if it had no impact on me. I realized that it was something my parents taught us from very young: part of having good manners was being considerate. It was an ingrained cultural value that I wasn’t even aware of, yet when I saw a lack of consideration, it irritated me. During last Friday’s #MTtalk Twitter chat, Dr Dorrie Cooper, @sittingpretty61, used a great example to explain hidden cultural values. Q1. How does culture shape behavior? @YEPBusiness Culture is the learned, frowned upon, permitted, encouraged, agreed upon and accommodated behaviour. Sub- and micro-cultures develop to accommodate where there is value to do so. @SaifuRizvi Culture is a framework which pushes an individual to behave according to dos and don’ts written in the framework. Q2. How would you define respect, based on what you learned from your culture of origin? Many participants responded with tweets about listening to others, accepting different opinions and tolerating differences. However, a number of people also said they were taught to have good manners and respect their elders. @JKatzaman We grew up learning respect by minding our manners and being nice to others. @TheCraigKaye Respect is also culturally dependent. Language, for instance, in one area might be unacceptable in another. @harrisonia Based on how I was raised, we were expected to respect, trust, and believe senior citizens, relatives and leaders because they were older. So thankful I outgrew that! Older doesn’t make you wiser and youth doesn’t mean you’re unlearned. Q3. We often learn values and beliefs that we aren’t conscious about, through culture. How did you become aware of some of your unconscious cultural values? @MicheleDD_MT Lessons learned while working in a college that worked with marginalized groups. Quickly learned about privilege and the impact our assumptions have on how we think about and behave with others who are not the same as we are. @aarum101 Analyzing everything you are told, fortunately, and, although in my country there were almost no schools that followed the democratic system (even less in my time), I was educated at home under the precepts of this, so I never accept anything without analyzing it. Q4. How do your unconscious values influence how you deal with conflict? What expectations do you have of other people? Unconscious values might motivate us to defend certain points of view, without us knowing exactly why we do it. With that comes the expectation that the other party should act or react in a specific way. It creates plenty of room for misunderstandings to occur! @Ganesh_Sabari Unconscious values play a major role in our instinctive behaviour; which gains significance in times of conflict as, generally, it is when emotions overpower reasoning. I expect nothing from anyone and take life as it comes. @LadderHR Well, that’s just it. Your unconscious values determine how you process conflict. Conflict occurs when there is a difference in values. My expectation for others would be that we will have a respectful discussion and come to an understanding of each other’s POV. Q5. When cultural differences occur at work, what effect does it have on employees? @GenePetrovLMC It depends on if the leaders recognize it and do something about it. If they don’t, they can expect some certain outcomes: disharmony; decline in effectiveness and efficiency; not being on the same path toward the same goals and vision; lack of trust. @Midgie_MT Working in multi-cultural teams and with individuals from different cultures can have far reaching effects. One being timekeeping and their approaches to meetings. Another, their view of deadlines. @itstamaragt It depends on how each individual handles cultural differences. In a good instance, it can lead to educating those who want to better understand someone else’s culture. In bad instances, it can lead to ignorance and isolation. Q6. What effect can constant cultural clashes have on an organization? @WonderPix Clashes can lead to us versus them thinking, less collaboration, and more separation. But, they could be used to learn and bridge divides, too. Acceptance of differences is key. @BrainBlenderTec It can demoralize and debilitate, as no-one wants to work in a battlefield. Q7. When working with people from other cultures, which of the following would you regard as more important: to be aware of your own culture, or to learn from interacting? @Yolande_MT Knowing my own culture well has helped me realise that the expression “it’s logical” begs the question, “logical to whom?” What’s logical to me and my culture, isn’t logical to someone from another culture. @bentleyu Both. It’s important to reflect on our own views, biases, values, assumptions, communication, cultural frameworks etc. At the same time, we have to be proactive about learning from others, engaging with others, celebrating difference, challenging our stances. Q8. How can you mediate between colleagues who clash because of cultural differences? @Mphete_Kwetli Let anyone know its good to accept that appreciating other cultures won’t let them lose their values, but broaden their knowledge more. Accept and appreciate. @s_narmadhaa We need to point out that it’s the differences that make a society whole. People who agree with each other all the time don’t innovate or learn to solve problems. When we realise that our differences power our strength, we can try and alleviate clashes. Q9. When culture clashes occur at work, what can leaders do? What steps can they take? @B2the7 Leaders are key. They need to be supportive, they need to provide education/solutions and they need to not take sides. @BRAVOMedia1 We step back, reflect and evaluate the situation and how we can obtain the best outcome under the circumstances. Q10. What’s your most important tip/takeaway about respect in the context of culture? @TwinkleTutoring (From experience!) However open-minded you think you are, you can never know everything about every culture! Always be open and prepared to listen and learn more! @MarkC_Avgi It’s kinda gotta be that “all for one, one for all” golden rule type of mentality. Team. Cooperation. Collaboration. Respect. Common goal. Thank you to everyone who took part in our discussion. To read all the tweets, have a look at the Wakelet collection of this chat, here. In some cultural contexts, people are taught that it’s better to keep quiet if you aren’t satisfied about something – especially if it’s about an older person or someone with a more senior position. 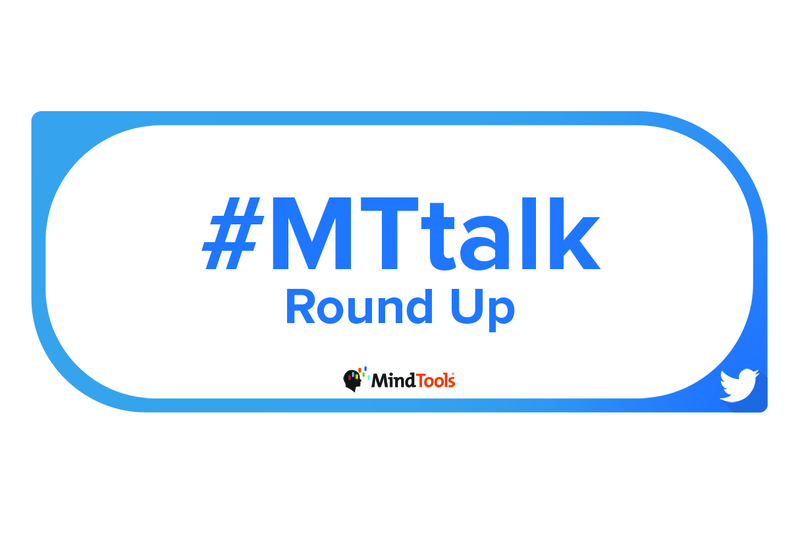 Next time on #MTtalk, we’re going to discuss dissatisfaction and what people feel versus what they say. In our Twitter poll this week, we’d like to know when you’re most likely to keep quiet about dissatisfaction. Please vote in our Twitter poll, here.